Since weight training the upper body can tighten muscles, it is very important to stretch the upper body to maintain the proper length of the muscles. During upper body weight training exercises, the muscles contract repeatedly. After a workout, the muscles will be slightly shorter than they were at rest. This is a normal process which occurs when everyone performs weight training or cardio activities which consist of repetitive motions. If you constantly shorten the muscles and never stretch them to lengthen them back to how they originally were, you will develop chronic muscle tightness. This chronic muscle tightness could lead to muscle imbalances and then posture problems. You may even end up in the cumulative injury cycle and set yourself back with an injury. When is the Best Time to Perform Upper Body Stretching Exercises? If you do not have any current posture problems due to muscle imbalances, your muscles are the proper length. This means your muscle groups have a proper length-tension relationship. After a weight training workout, your muscles have micro trauma which are tiny little tears in the muscle fibers. If you do not stretch, you may not recovery properly. 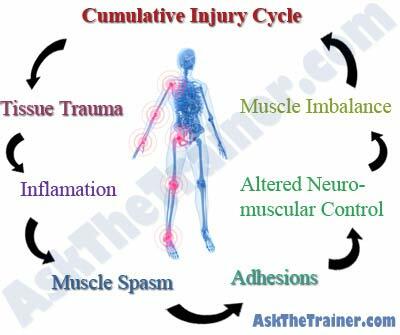 You could also enter the cumulative injury cycle which will eventually lead to injury. A good time to stretch is after any exercise in which your heart rate is elevated for at least 5 minutes. Your muscles will be warmed up and more flexible. After a weight training workout is the best time to stretch. Your upper body stretches will be most beneficial as they will help prevent the development of muscle imbalances and will also help you start the muscle recovery process off right. It is important to remember that recovery is just as important as training and nutrition. If you want a balanced, healthy body, you should always stretch your muscles after you repeatedly contract them. As mentioned previously, do not stretch your muscles while you are cold. Always perform a general warm up before you stretch or else you may be wasting your time. Hold static stretches for around 30-45 seconds. The reason to hold all upper body stretching exercises for 30-45 seconds is because it takes that long for your proprioceptors to relax. Proprioceptors are little sensors in your muscles. Without getting into too much detail, the little sensors in your muscles are called Golgi tendon organs and muscle spindles. Golgi tendon organs send information back to your brain about muscle tension. Muscle spindles send information back to your brain about muscle length. Around 30 seconds into a stretch the muscle spindles stop limiting the length of the muscle. In a nutshell, if you don’t hold a minimum of 30 seconds, your lower and upper body stretches could be all for nothing. Take a stop watch and make sure you hold the stretch long enough. When you perform static stretching exercises, you are not trying to rip your limbs out of the socket and tear your muscles. Hold at the point of “mild discomfort” for the duration of the stretch so you don’t cause more harm than good. This is the most effective way to perform the best upper body stretching exercises. This stretches your latissimus dorsi and the long head of your triceps. It is good to perform this single arm version of the stability ball lat stretch following SMFR on each side. Start: Kneel on the floor and put a stability ball in front of you. Put the bottom of your fists on the ball. Begin the stretch: Push the ball away from you. When your arms are about parallel to the flow and the bottom of your fists are touching the ball hold the position. To get the best stretch, isometrically contract (flex) your arm muscles and draw in your core tightly. This will allow your lats to get the best stretch. The triceps long head is also stretched in this upper body stretch. This stretches your chest and anterior deltoids. It is a very good stretch to perform after a chest workout. If you perform these upper body stretches after your chest workout you may decrease DOMS (Delayed Onset Muscle Soreness) and speed up your recovery. Start: Kneel on the floor and place a stability ball on one side of you. Put your arm on the stability ball. Begin the stretch: Lean forward and place one arm on the floor. Your arm should be in an angle of about 90 degrees. Draw in your core and flex your arms isometrically and slightly push your shoulders down towards the floor. Your torso should be parallel with the floor. Variations: To stretch your upper chest and anterior deltoids more you can move the ball further forward. If you don’t have a stability ball handy you can use a weight bench or any elevated surface. This is what I like to call an all purpose upper body stretch. The best time to perform this upper body stretch is after your back workout, especially if you did a lot of pulls such as pull ups. Start: Kneel on the floor and have a stability ball in front of you. Put both fists on the ball with your palms facing each other. Begin the stretch: Lean forward and roll the ball away from you. Push the ball away from you to where your arms are completely straight and your torso is parallel with the floor. Flex your arms and draw in your core while you hold the stretch. Variations: If you don’t have a stability ball you can use a counter top or any elevated surface.